Vertical Platform Lifts allow you to gain access to your porch, deck, or floor-to-floor without sacrificing space with a compact Bruno residential vertical platform lift. 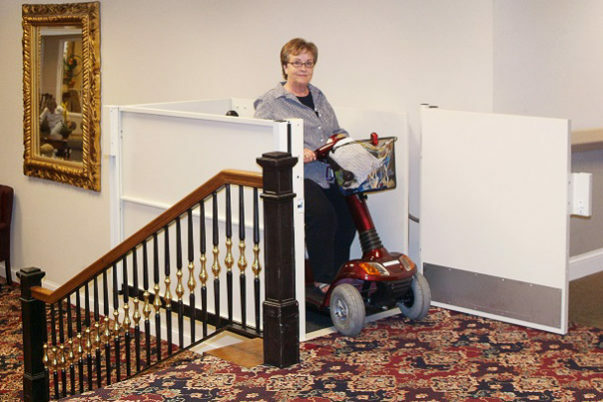 The quiet, smooth handicap lift accommodates any wheelchair, power chair or scooter. Give yourself the freedom to get in and out of your home with just a push of a button. You're in control. Harmar Highlander Vertical Platform Lifts (VPL), also known as Porch Lifts, are a great handicap lift option for indoor and outdoor access. 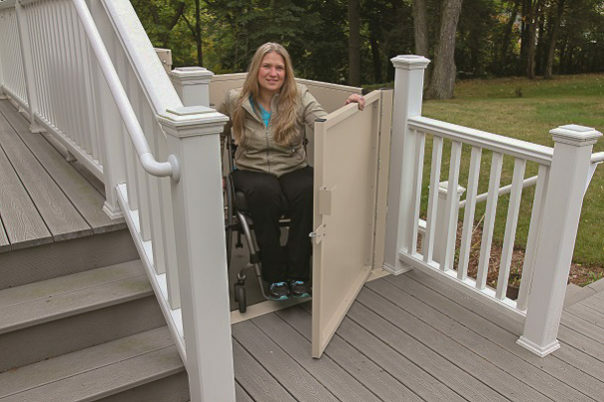 Whether you are having fun summer barbecue, a simple get together on a deck, or gaining access into a home, a VPL or Porch Lift offers you full access to your home and yard without the burden of transferring out of your power chair, scooter, or wheelchair. The Highlander VPL series offers a variety of indoor or outdoor lift options. It is available for commercial and residential applications and comes in open and enclosed configurations.